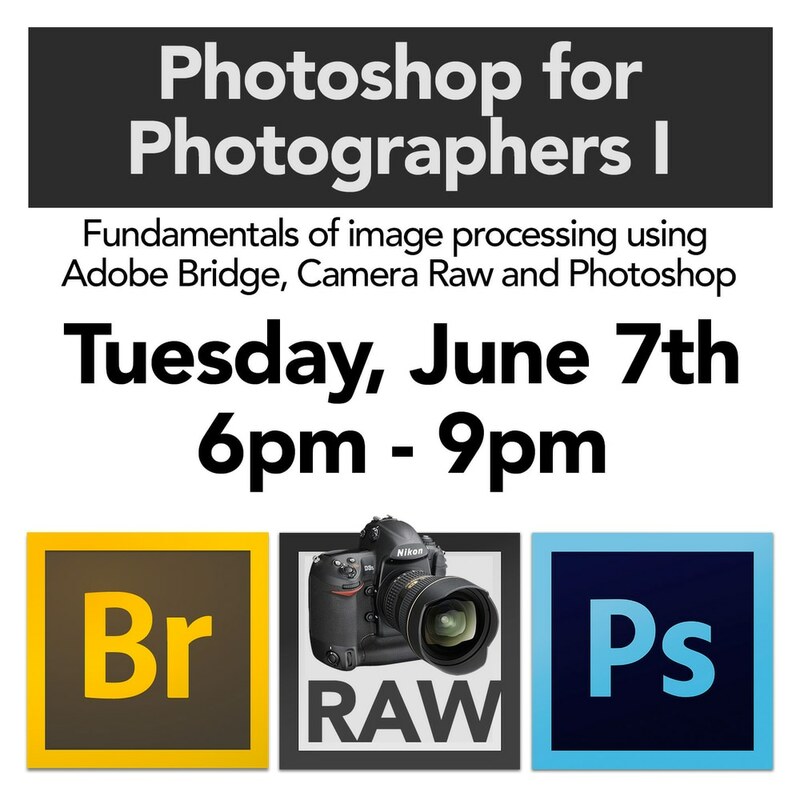 Photoshop for Photographers is a seminar for professional, fine art and hobbyist photographers who want to learn about file management, color balancing, why shooting in RAW is better, shadows and highlights moves, contrast, ways to save and send image files, using Bridge and more. This is a chip to print seminar, it is not a how to shoot photos seminar, it's what to do with your image files once you have them. This seminar is for beginners/intermediate. Prerequisite is a good working knowledge of computers, this class is taught on a Mac but all functions will work on a PC. You may bring your laptop, wireless WiFi is available but please make sure it is fully charged as outlets will not be available.